I don’t usually post articles that haven’t been published yet, but will make an exception for what I’ve written ahead of the ‘mother of all matches’ in Chandigarh on March 30, 2011. 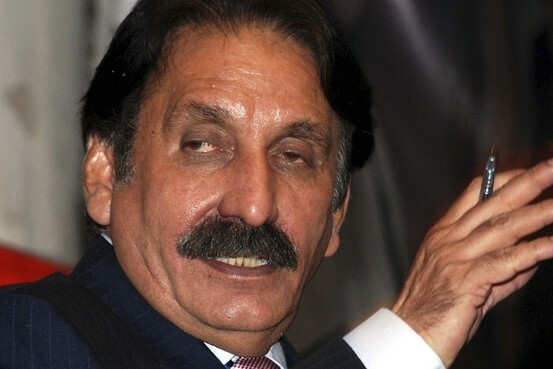 If you are not Indian or Pakistani and don’t follow cricket, this may mean nothing to you. If you are, it doesn’t need explaining. My two short pieces to be published in The News on Mar 30th (Mohali: let it be an ‘aman ka chakka’ and “Something happening in Mohali today?” Salman Ahmad, rocking to a cross-border beat – ‘tension leney ka nahi’), below for the weekly Aman ki Asha page. 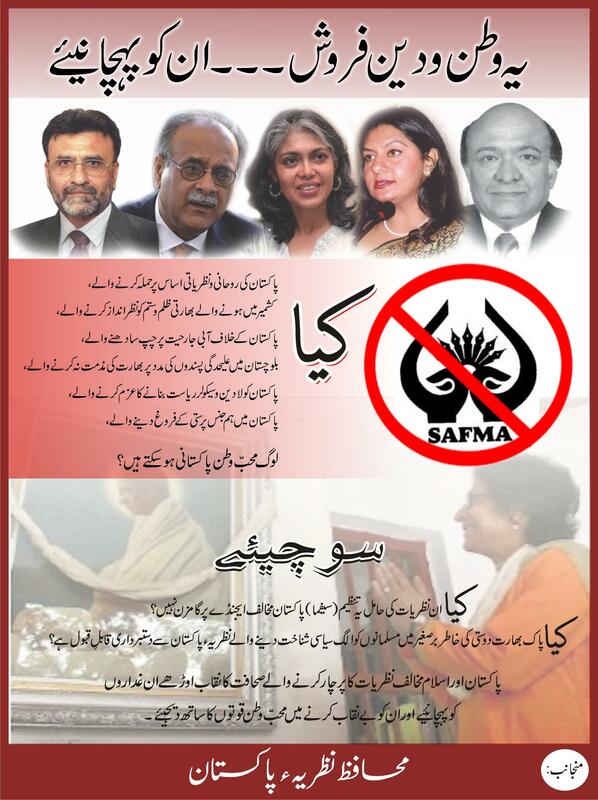 But before that, a news flash: Aman ki Asha’s Milne Do campaign against visa restrictions for Indians and Pakistanis wanting to visit each other’s countries won Best Campaign award at the APNS awards ceremony last night. 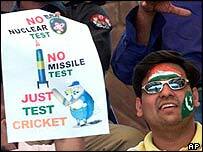 My favourite placard from the 2004 series: "NO nuclear test, NO missile test, just TEST CRICKET"